With under 900 Mistral coupes ever built, it’s no surprise that even examples such as these with the lingering effects of a failed engine swap still visible are commanding good money on eBay. This coupe originally featured a 4.0L inline-six developing 255 b.h.p., good for stirring performance fitting of the Maserati brand. 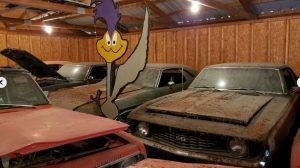 This example has been found hiding out in a Nevada airplane hangar years after a previous owner attempted to install a Chevy V8. Find it here on eBay with bids over $10K and no reserve. As a later car, most Mistrals will have a steel body after initially being offered in lightweight aluminum – but the seller notes that this is one of the aluminum-bodied cars, which surprises me given 67s and onwards had steel construction. 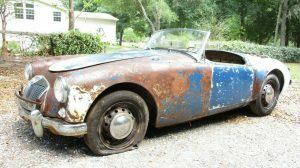 Regardless, body condition remains excellent as you might expect, and the seller reveals the frame was previously sandblasted but then left to sit outside for two years; some surface rust has developed in that time. 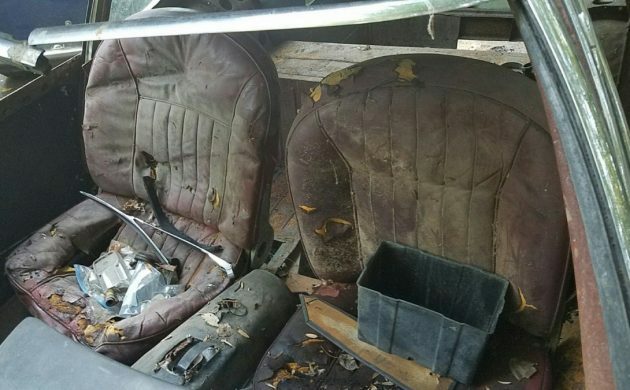 The interior is not in the greatest condition, and several key parts inside and out are missing. 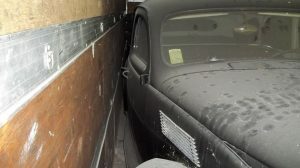 The seller notes the front upper bumper, ampmeter, rear taillights, front windshields, and door handles are all missing – but can be purchased separately. That strikes me as curious, as it seems incredibly cheap not to include parts that could be considered very basic necessities when attempting a restoration such as this. It’s hard to tell for sure, but it looks like most of the interior will need restoration as well. 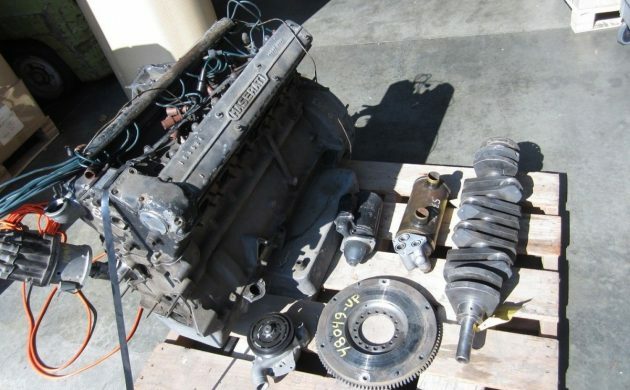 The seller notes the engine was torn down 30 years ago and never reinstalled. Frankly, after the attempted Chevy V8 engine swap, I’m amazed the original mill is still available in any form. 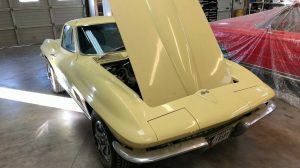 The engine is missing its exhaust headers and side-draft Webers; the intake manifold and early airbox will be included. 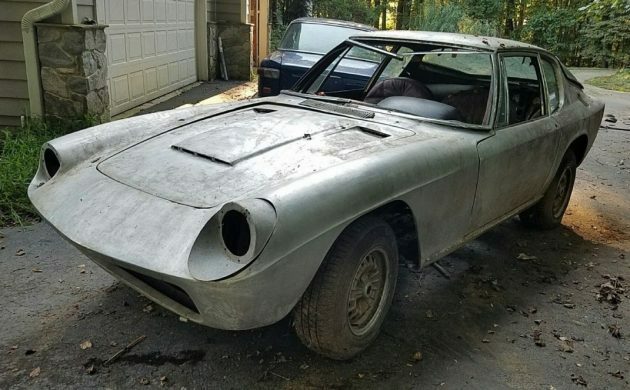 Given their limited production, this seems like a worthwhile restoration project and far more than a parts car as the seller alludes to in the listing. Nice project car has great lines but what a money pit. Wondering about the sellers integrity if he holds back on these items, Throw them in. No pics of the eng compartment to see what possible butchery was done trying to install that sbc. Does sound like a rare car with the aluminum body, I’d be willing to bet there are a lot of missing parts made of unobtainium. Glad it still has the 6 ,what a fool ,l hate 350 Chevy shops ,the 350 is a great engine but so damp boring ,some with ls engines. I have owned a Maserati Sebring and I have more than the average time with one as both driver and restorer. In many ways these are amazingly simple machine compared with more recent cars. Parts for many pieces are much more widely available then you might think. Most are from higher production Italian, French, English and German makes or from companies like ZF for the transmissions. As for the original engine. These are remarkably strong engines as they are a reduced power derivations of the Maserati Racing F-1 engines of the 1950’s. They are easier to maintain than Ferrari’s of the similar vintage and in general have more torque but less top end power. Perfect for street usage. There are flaws however. They have a really silly head gasket system of separate copper gaskets for each cylinder and a paper gasket. The water pump is also far more complex than it needs to be. The rest is dead on simple and easy to care for. Most importantly reliable. The rare parts are the glass especially the rear hatch glass. Think children’s college fund expensive if you break one. If the frame tubes are bent I am not certain about this model but on the Sebring they were oval which can be had but think again about your children’s college fund. Transmissions are ZF, rear ends are Jaguar, as are most of the front end bits. Shocks, bushing dead simple. The metal work for the body is almost unobtainable but it is not that hard to fabricate. Interior bits are mainly Fiat or more commonly Alfa Romeo Giulietta. Since I have owned both I can assure you they are identical. The electrical systems are simple and strangely reliable. I much prefer the convertible version of this car. I think this coupe looks heavy from the side and rear angles. Great fun to drive and shocking useful. For the era one of the best combinations of touring car and sports car. Easily the equal of Aston Martin, Mercedes and Ferrari offerings of the time. This is especially true if you consider operation costs. Last thoughts the distributors are no longer available and I do not think they can be rebuilt but a V-12 Jag system can be used as this is a two plug per cylinder engine. There is a lot of work here but done right you will have something special. This engine is a Lucas fuel injection model. yep, nxt 1 up is 180K $ (done acourse). This 1 still hasa dizzt (don’t ya C it on the L of the last pic?). I find this interesting, just for the fact that I had a Hot Wheels Maserati Mistral way back when. 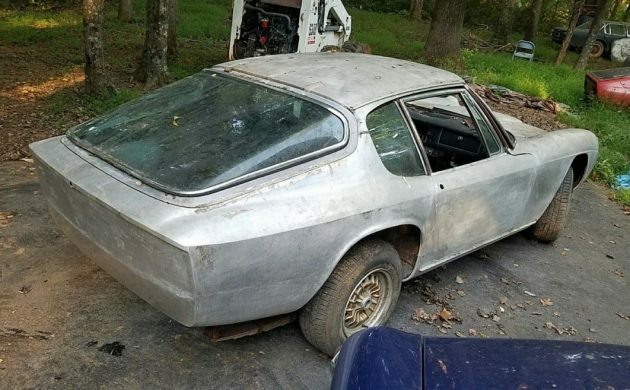 Has there been some panel replaced in the rear of the body? I see no holes for wiring or tail light mounts?